A type of back surgery called spinal fusion is becoming a popular choice among patients suffering from a condition called spinal stenosis. This condition is characterized by slowness and decreased mobility, which also decreases the capability of an individual to conduct daily activities smoothly. Spinal stenosis occurs when the spinal canal is narrowed due to degeneration of both the intervertebral discs and the facet joints. Doctors nowadays recommend spinal fusion to treat older adults suffering from lumbar spinal stenosis. Spinal stenosis may sound complex, however, it is just like a normal surgery that fuses together the bones of the spine in the lower back. The fusion, thus, prevents the movement between different vertebral bones. However, spinal fusion is definitely not the first line of treatment that doctors recommend. Spinal fusion is considered only when other conventional treatment such as physical therapy and medications do not work properly. 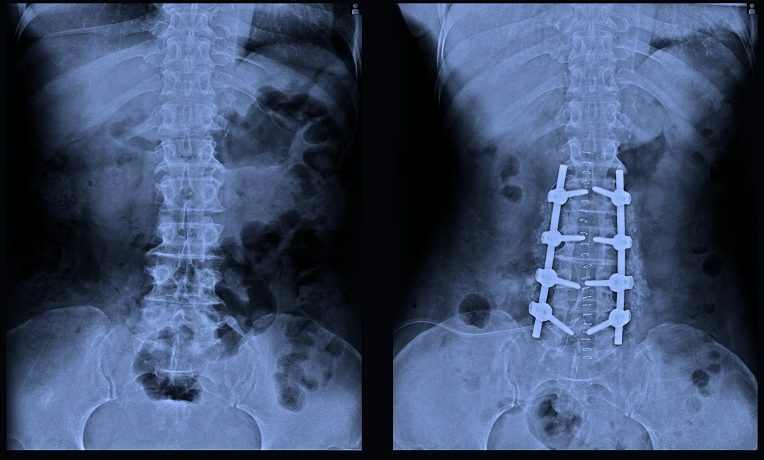 Spinal fusion may seem like a frightening procedure, however, it helps provide a new life to the patients with severe spine disorders or deformities. This surgery can be conducted using minimally-invasive technique and the patients experience much less pain during and after the procedure. As the name indicates, spinal fusion refers to the “fusion” of some of the vertebrae in the lumbar region of the spine. In fact, it is a type of a “welding” procedure, used to weld or fuse together small bones of the spines to correct problems associated with it. The fused vertebrae, after the surgery, look like a single, long piece of bone. It takes several medical experts to perform a successful spinal fusion surgery. The team of specialist doctors mostly includes neurosurgeons and orthopedic surgeons. While an orthopedic surgeon leads the team performing spinal fusion, the actual procedure is most often performed by neurosurgeons. These doctors specialize in surgery that involves the nerves, spine and the brain. One of the biggest advantages to getting spinal fusion is that it has the potential to drastically reduce pain or eliminate it altogether. It may seem like a complex medical procedure, but it definitely helps people get relief from constant and severe pain due to spinal disorders. There are three different types of graft that can be used to perform spinal fusion. During the procedure, the space between the vertebrae is filled with a type of bone graft – autograft (piece of bone taken from the patient), allograft (bone taken from human cadaver or synthetic (artificial bone used in combination with autograft or allograft). Spinal fusion can be used to treat patients with different types of disorders related to the spine. For example, it is used to treat patients with a fractured bone in the spine or an infection causing deformity. In addition, it is also used to correct different types of degenerative disc diseases such as spinal stenosis, spondylolisthesis, kyphosis and scoliosis. Spinal fusion is a permanent procedure, that is, the pieces of bones in the spine remain fused for the rest of your life once the procedure is done. The fusion, thus, helps create a larger, longer and healthier bone. As a result, the friction between the bones, ligaments, muscles and nerves that previously caused pain is restricted. Just like any other type of surgery, spinal fusion also has risks associated with it. However, the chanced of such complications is rare. Infection, internal bleeding, nerve damage, blood clot and severe pain at the site of bone graft are some of the complications associated with spinal fusion. Talk to your doctor about the risks involved before opting for this surgery. A thorough evaluation of the patient before the finalizing enrolment for spinal fusion Is conducted to assess eligibility. Apart from conducting blood tests, X-ray and an overall assessment of general health, doctors may also advice to stop certain medications and smoking long before the surgery. Patients opting for the spinal fusion need to be patient, as they will be required to stay in the hospital for a few days after the procedure. In addition, time needs to be devoted to strict rehab and recovery after the procedure. Special care needs to be taken, especially while sitting, walking and standing as the spine should be kept in perfect alignment. It takes several weeks and months for the pain to subside after the procedure and before the patient is able to experience an improved quality of life. Research suggests that patients who opt for exercise and physical therapy for treatment of their spinal disorder are more likely to return back to work, as compared to people who undergo spinal fusion. In addition, the former group is less likely to take painkillers (opioid).